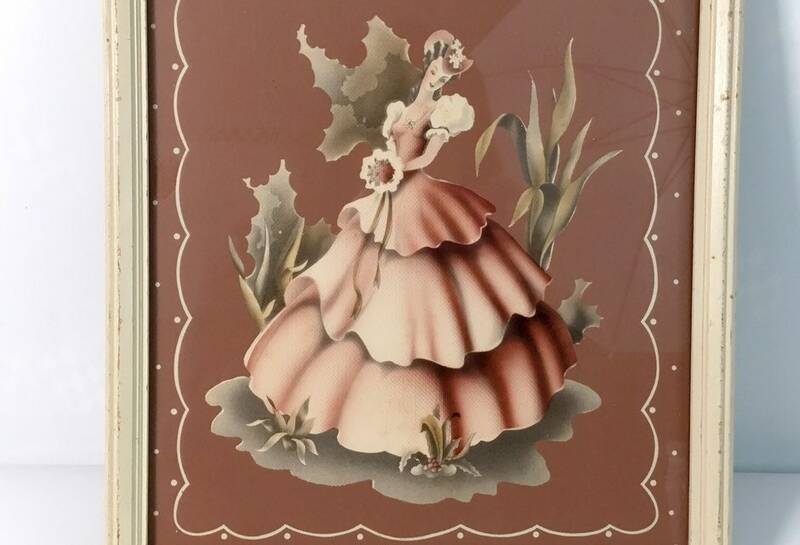 Wonderful picture of a Victorian era woman in a long dress with a bouquet in her hand, a hat on her head that is in an off-white or ivory frame made by Turner Co. 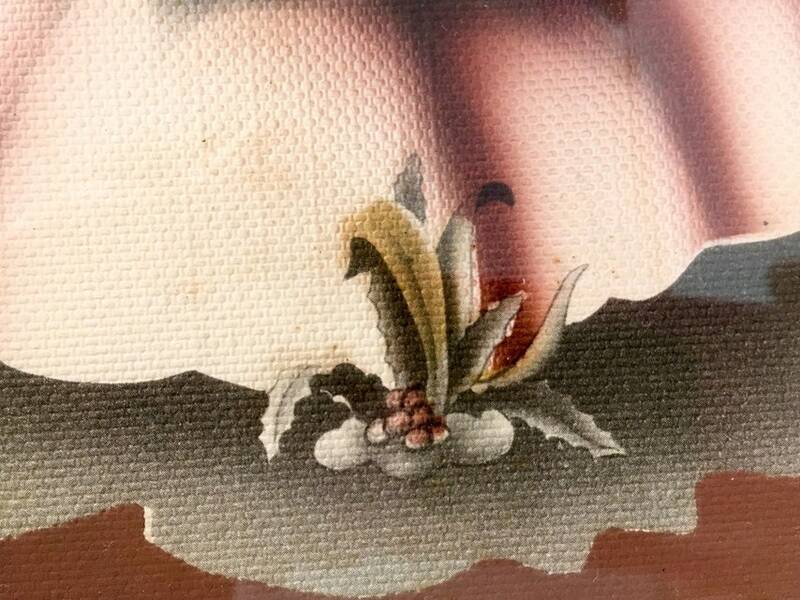 There are some Grey-brown and cream colored plants as well as some decorative swirls and dots around the woman that is framed in glass. 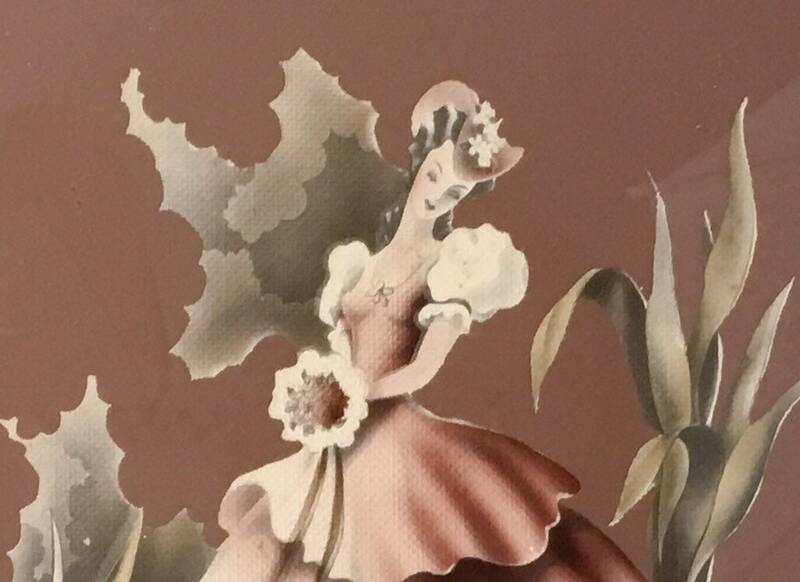 The background of this print is a light cocoa brown color. 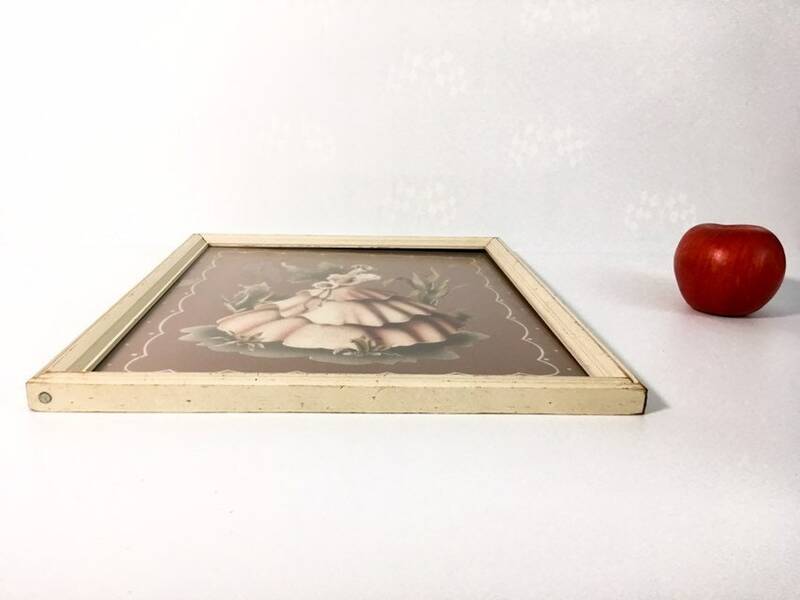 The frame itself is a painted wood with a color that matches the ivory or light tan color in this print. 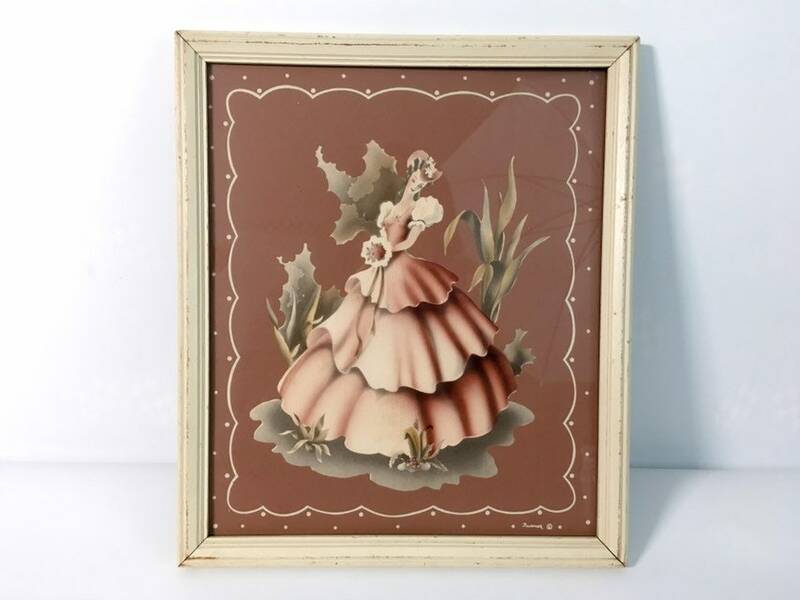 This wall hanging is a great shabby chic piece of mid century wall decor and would be wonderful in a bedroom, bathroom or living room area. 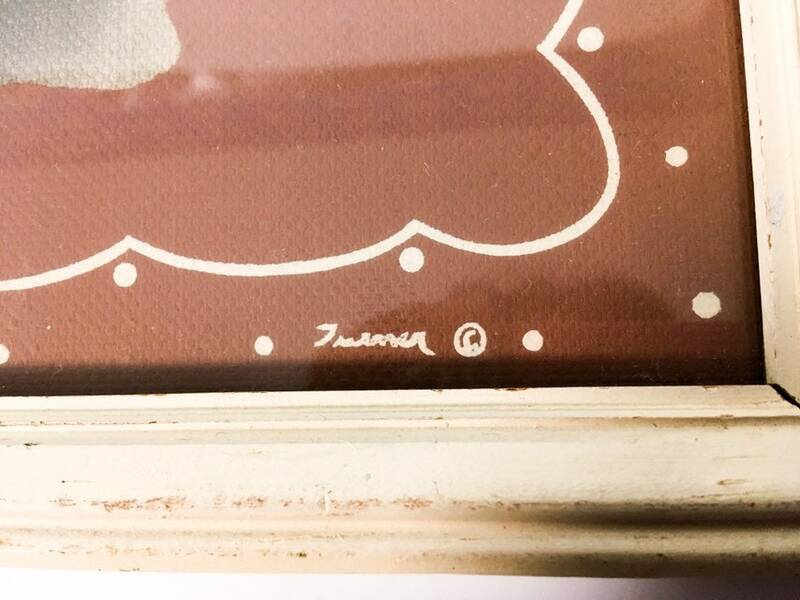 This rectangular Turner signed print in a frame I believe is by the Turner Wall Accessories Company of Chicago. This company created a large number of wall ha things I. The mid century. 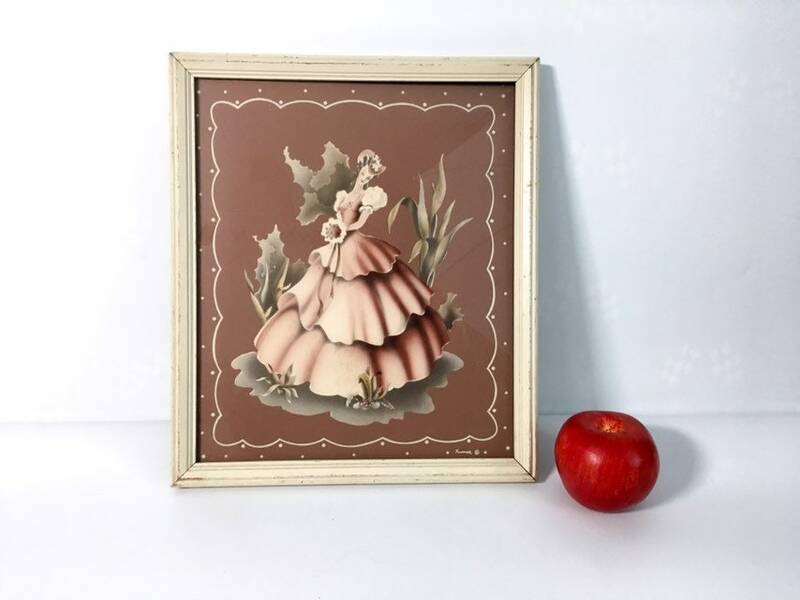 The wall hanging is done in mauve pinks, ivory and brown tones and goes beautifully with both shabby chic and Hollywood Regency decors. The print is signed TURNER in cursive on the bottom front right and has a copyright symbol next to it. The wall hanging measures 14” long by 12” wide. About 1” deep. 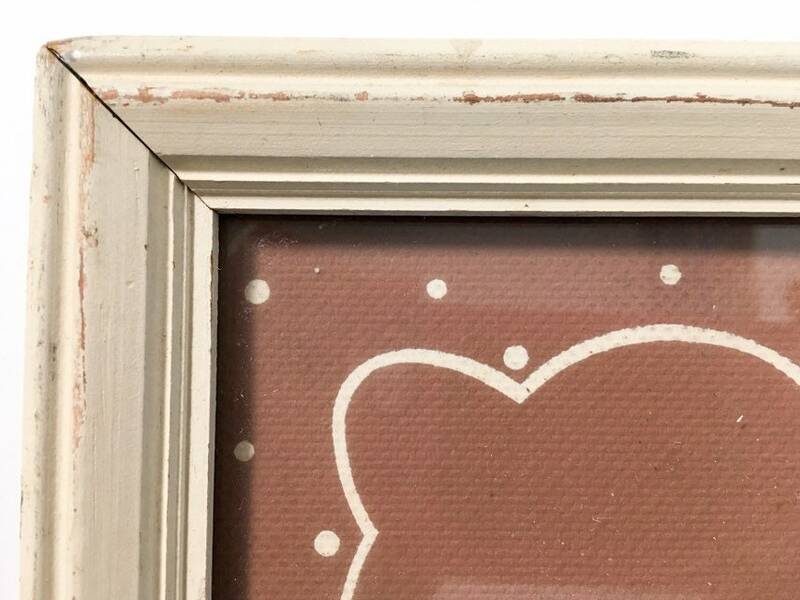 The original vintage backing paper is still on the back of this retro framed print. 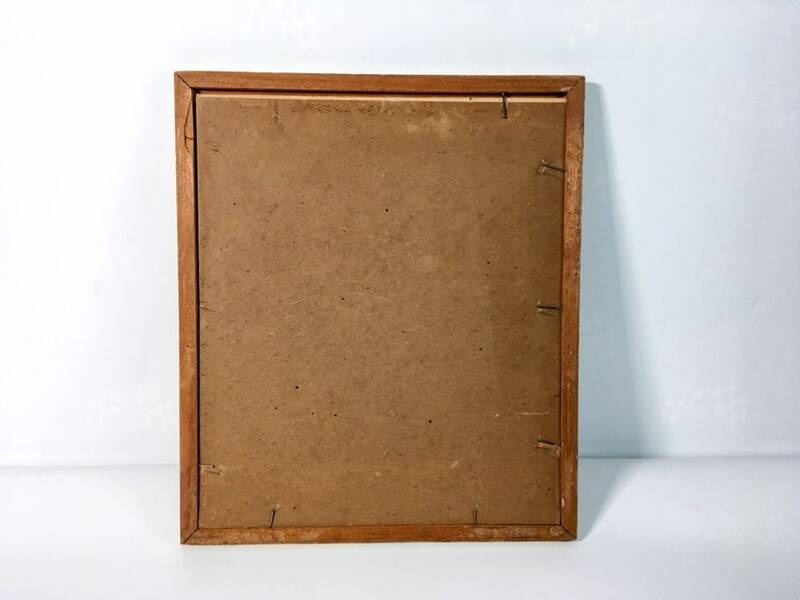 Overall, in nice vintage condition with some chipped pain in the frame ans wear commensurate with its vintage age - circa 1960s.